Contemporary Christian music (a.k.a. CCM), which stems from the Jesus Movement of the late 1960s, has introduced many talented performers/singers over its 40+ year history. And like any of the other industry genres, there are only a few artists whose music has stood the test of time. Carman is one of those artists. Though he’s now primarily seen and heard on the Trinity Broadcasting Network (a.k.a. TBN), Carman’s music is still known for its varied styles and strong Gospel message. When he was touring, Carman (full name: Carman Domenic Licciardello) was a charismatic sight to behold. His concerts were incredible experiences; more like a rock-n-roll, Billy Graham Crusade than a church event. 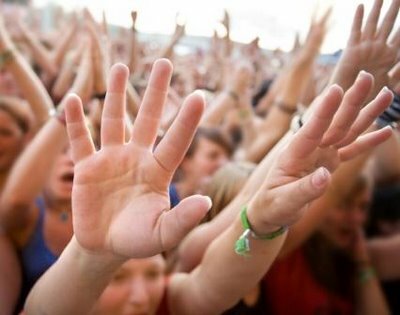 After each concert, hundreds of people would work their way down to the counseling area to accept Christ; often as many as 5,000 in an evening. Amazingly, admission to a Carman concert was usually free and an offering generally was taken. Carman could fill the largest of stadiums, too, and did. In fact, Carman holds the record for the largest Christian music concert ever. It took place in Dallas, Texas, at the famed Texas Stadium (former home of the Dallas Cowboys). But more than that, if you take the mega stadium acts that played the famed landmark (Pink Floyd, U2, Madonna, The Jackson Five, Paul McCartney, Garth Brooks, Metallica, et al.) you’ll see that, as the newspapers noted, the one act that drew the highest attendance in Texas Stadium’s history was Carman, with 71,132 in attendance. No sun to light the days. In power and in might. 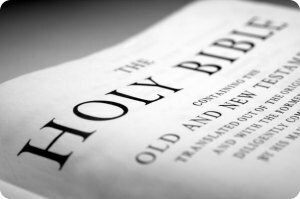 The Word, Who reigns forever. They shall possess this land. And the works of His hands. The whole wide world will know (repeat chorus). 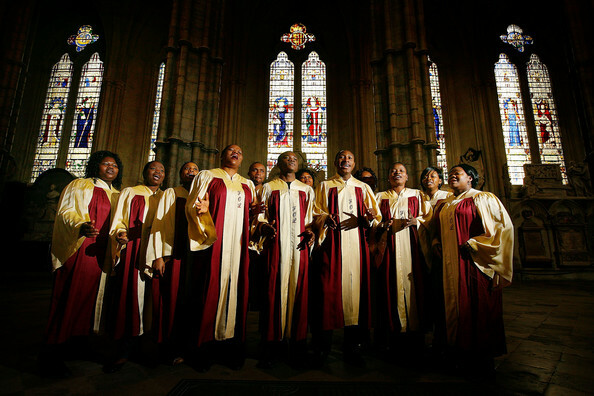 There, in simple melody, is a lyric so full of the truth of who our Creator is — Yahweh! Hear this song and you’ll have these words embedded in your mind. Meditate on them and you’ll grow in this lyric’s basic truth; Yahweh, is everything humanity needs and so much more. 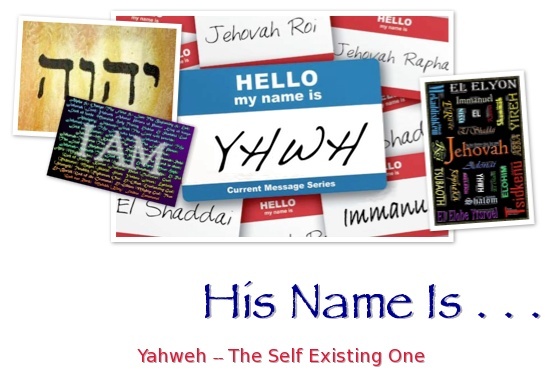 Let’s look deeper into the meaning of the name “Yahweh,” one of the three primary names of God (Elohim/Deity). Many scholars believe that Yahweh, actually spelled YHWH in the Hebrew language, is the third person singular form of the ancient Hebrew verb “haya,” which means in English “to be.” The basic driving force of this verb describes a state of existence. As the third person form of haya, the name “Yahweh” literally means “He [God] is,” or “He [Elohim] exists.” It’s a description of who God Almighty, is. He is “The Self-Existing One.” Ponder that thought for a moment (selah/pause). He is “The Self-Existing One.” How’s that for a name!? God is “The Self-Existing One.” It blows the mind a bit, doesn’t it? God reveals to us in His name, the name “Yahweh,” that He always has been and always will be. God (Elohim/Deity) was not created or birthed, but exists. Allow me to reiterate this truth — God (Elohim) has always existed, and will always exist. Truly awesome! Every name of God revealed to the Hebrews, as you will see throughout this study, was to reveal some portion of Himself and His nature to mankind. And in doing so, our Lord, Yahweh, calls us to be in awe of Him, of Who He is — to worship Him. If you will recall from our study on worship, known as The Joshua Project, we learned that God has laid out a formula for calling His own into worshiping Him. The formula is simply this: if we will come to know the attributes of God, and also acknowledge those attributes in our lives, then God will produce the actions in us that equal true worship. The same becomes true of knowing and understanding the meaning of God’s various other names. God (Elohim) is the Lord, Yahweh — “I AM.” The Self-Existing One. This name of God describes who He is, and discovering who the Almighty is will call us — even move us — to worship Him! When God revealed His name to mankind, it was not merely so we could know what to call Him (i.e. give Him a formal title), but it was to reveal to us all something about Himself, His nature, and His attributes and thus call His creation to worship Him, The Self-Existing One. Once more, everybody — selah! Yahweh lyrics by Gloria Gaither and music written by Carman. Copyright © 1983 CBS Inc. If you find that lyric very familiar it’s probably due to one very popular TV series — Cheers! 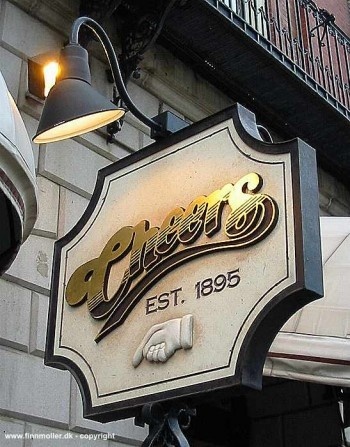 Every Thursday night on American TV, from 1982 to 1993, NBC’s Cheers would begin with those words melodiously streaming from your television set right to your ears and I’ll bet you probably even sang along, if you watched regularly enough. 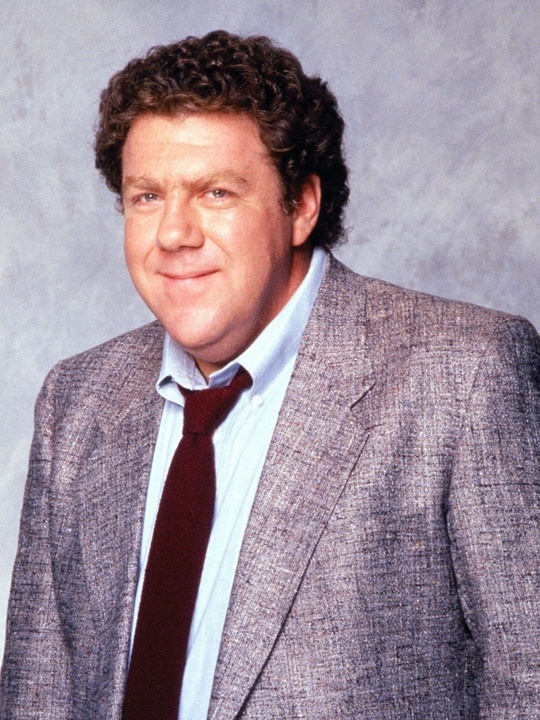 This show starred several actors over its award winning 11 seasons (Ted Danson, Shelley Long, Nicholas Colasantos, Rhea Perlman, John Ratzenburger, Woody Harrelson, Kelsey Grammer, Kirstie Alley, and Bebe Neuwirth), but the most endearing character was played by George Wendt, and that character’s name was Norman “Norm” Peterson. Calling on someone by name immediately grabs that person’s attention. 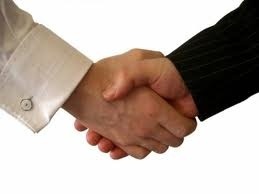 It makes them aware of the individual’s intent to engage in a conversation or to offer up a cordial greeting. Our names give us identity, a sense of self-worth, and sometimes our names offer up clues as to our ethnicity, the place we come from, the type of person we are or want to be. Occasionally our names even come with titles that allude to our education or type of job we are enjoying. Names are essential to mankind’s community and communicating with each other within that community. And so it is with our Creator. Our lives should be places where God is a welcome fixture and so much so that we too shout out His name(s) whenever we feel His presence. Too many of us (myself, included) pray to the Almighty or speak of Him in casual conversation as simply God. It’s become such a generic noun culturally that “God” holds no real meaning or brings about no real conviction to most. It’s safe and unobtrusive, generally, as “God” can refer to many religious figures, thoughts, or theologies. But, speak the name of Jehovah, Yahweh, Jesus, or talk of the Holy Spirit and immediately defense systems arise from within people who are listening. Rooms empty, tables are cleared, and doors become closed and locked; and all that occurred at the local church after Sunday services. O.K., maybe not in the church building, but you do know of the discomfort I’m talking about. Beyond these, the one true living God is called by over eighty other compound names or descriptive titles; names that have real meaning and insight as to His very nature. Names that will teach us not only of God Almighty, but of how to serve Him and worship Him. During this series of articles we will not be studying all eighty plus names of our Creator, but each name that we do study will connect us with an attribute of God; an attribute that will call us to worship Him, whether corporately or individually. More importantly, we will show how to appropriately call upon our Lord by name in our daily circumstances. When our study is done, we should be able to reflect on how important it is to our spiritual growth, to our physical well-being, to our relationship with God, to call out to Him by name. After all, if God cares so much for us that He knitted us together in our mother’s womb (Psalm 139:13b), that He knows how much hair is on our heads (Matthew 10:30; Luke 12:7a), if He sent His one and only Son to die for our sins (John 3:16), then how much more should we take the time to learn the name of the One who knows us and cares for us so intimately. Then and only then can we properly claim to know Him and be appropriately called a true worshiper of God! So, I invite you to follow this study with me, and let’s learn together just how to make our lives a place where God can know that we care enough to call upon Him by name, and let’s understand together just how to become more intimate with the One who calls us by name. Cheers TM ® & Copyright © 2003, 2004, 2005, 2006, 2007, 2008, 2009, 2010, 2011 by Paramount Pictures and Copyright © 1982, 1983, 1984, 1985, 1986, 1987, 1988, 1989, 1990, 1991, 1992, 1993 Paramount Network Television. All rights reserved. In our last post we were discussing the first three of eight specific reasons why we needed to glorify and worship God daily. The first reason being that glorifying and worshiping God connects us to Him. Second, we need to glorify and worship God because in doing so we focus our attention away from ourselves and towards God. Thirdly, our need to glorify and worship God testifies of God’s goodness and mercy. 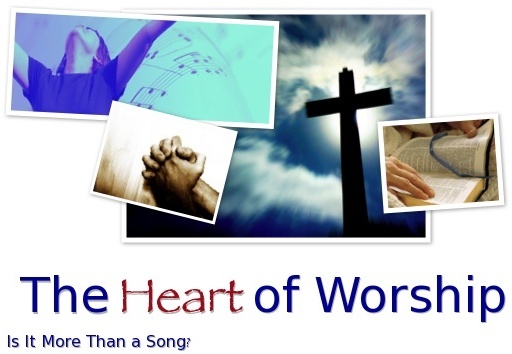 The fourth reason for glorifying and worshiping God is to reflect His glory to the lost. Much in the same way our worship is our testimony of the Father’s goodness and mercy to nonbelievers, so is it also a reflection of His glory. Remember, Paul instructed us to “live as children of light,” but what is the source of that “light”? It’s God’s light, God’s glory shining from Himself through us and into a dark, dark world. Even Jesus, God’s Son, taught this about Himself in John 8:54-55a, “If I glorify myself, my glory means nothing. My Father, whom you claim as your God, is the one who glorifies me. Though you do not know him, I know him.” Jesus, in worshiping the Father, reflected God’s glory into this sinful world, and even though people didn’t comprehend what they were experiencing was of God, they could still see the “light.” Odd thing about light — it’s blinding to some and illumination for others, and the more we as true worshipers allow ourselves to reflect God’s glory, the more like Him we become (2 Corinthians 3:18). But let all who take refuge in you [God] be glad; let them ever sing for joy. Spread your protection over them, that those who love your name may rejoice in you. For surely, O Lord, you bless the righteous; you surround them with your favor as with a shield. Do you want to live rightly, with God’s blessings on your life? Do you want to be filled with real joy and have your eyes shine with it? Then do as the psalmist says above and take refuge in God; love everything about Him and then, as he also wrote in Psalm 19, verse 8, God will in turn cover you (clothe you, as we were intended) with His glory and you will be blessed. 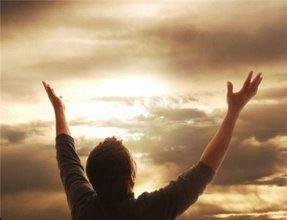 I will come and proclaim your mighty acts, O Sovereign Lord; I will proclaim your righteousness, yours alone. Since my youth, O God, you have taught me, and to this day I declare your marvelous deeds. Even when I am old and gray, do not forsake me, O God, till I declare your power to the next generation, your might to all who are to come. Did you comprehend that? You are sovereign, O God! Let me live as long as possible so I can declare it to as many as possible. Imagine, if we all prayed that prayer and lived it, what life would be like. I love the words Bob Hartman, guitarist and songwriter for the Christian rock group Petra, wrote for the song “Somebody’s Gonna Praise His Name.” The song was released on the album On Fire, and the lyrics of the chorus read like this, “Somebody’s gonna praise His name. Somebody’s gonna call Him Lord. It’ll either be you and me, or it’s gonna be a rock or tree. Somebody, somewhere is gonna praise His name.” To which he says at the end, “And it’s gonna be me.” Bob Hartman and the rest of Petra seem to know their purpose and have acted on it. Will you join them? Lastly, the eighth reason we need to glorify and worship God is to rightly respond to God’s calling on our lives. Again, our calling, God’s perfect will for humanity — our purpose, more than anything else under the sun — is to glorify and worship Almighty God. The apostle Paul, in his first letter to the church in Thessalonica, stated, “Be joyful always; pray continually; give thanks in all circumstances, for this is God’s will for you in Christ Jesus” (1 Thessalonians 5:16-18). 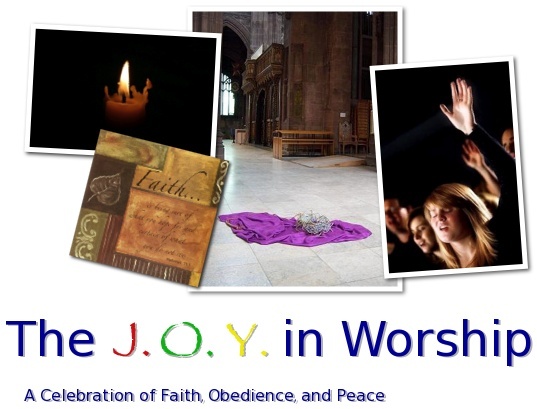 “Be joyful,” “pray continually,” “give thanks in all circumstances” are all acts of worship. Each is a crucial key to unlocking and revealing God’s glory in our lives; revealing the Father’s will for mankind — worship. God’s will is not so much about what you will do with your life physically. God’s will isn’t about whether you should or should not be in a particular profession, though living by His statutes may clearly dictate a profession to you and keep you from choosing another. It’s about living your life glorifying and worshiping your Creator. Look with me at 1 Corinthians 10:31, which says, “So whether you eat or drink or whatever you do, do it all for the glory of God.” Paul, at this point in his first letter to the church at Corinth, was dealing with an issue of whether people should or should not eat meat that had been sacrificed to a pagan god. Paul explained that if that meat was eaten simply because of hunger, then there was no harm; but if it was eaten and caused them or someone weaker in the faith to get caught up in idol worship, then it was wrong. 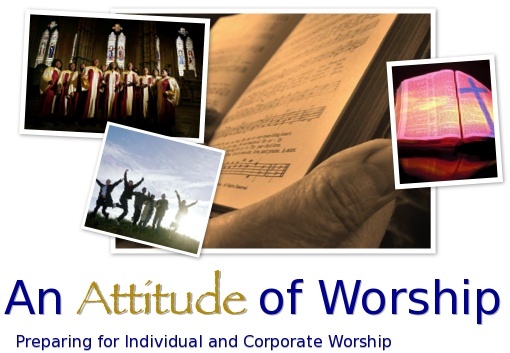 There was an attitude involved here (remember we discussed having an attitude of worship in Article 3); a motivation. Now, let’s apply this same attitude/motivation to our overall purpose of worship. No matter what you choose to do for a living, do it with the sole motivation of glorifying God, but if your career choice prevents this for some reason, then you should choose another and do so quickly. If we live our lives in fellowship with our Creator (1 John 1:3-4) and worship Him, then His overall will for us to glorify Him will guide us in correctly choosing our spouse, friends, job(s), food, anything and everything. Choosing to live our lives glorifying God is choosing to be holy (set apart). This is why we are urged by both Paul and our Lord, Jesus Christ, throughout the New Testament to worship God rightly. 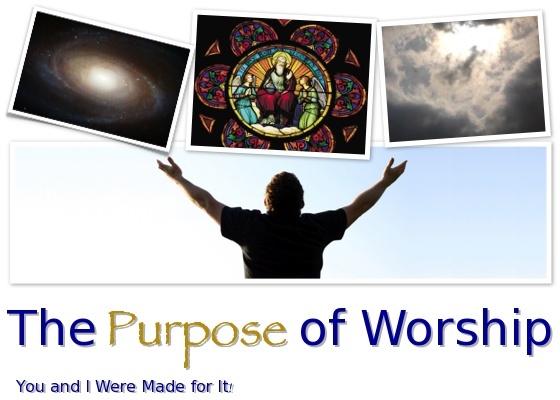 In doing so, we can finally experience our purpose and become true worshipers of God (Matthew 25:14-30; Ephesians 4:1-6; 2 Thessalonians 1:11-12). How was that for simple, yet complicated? I know it will take self-discipline and maybe even the discipline of God and other believers to get us to where we really can live out our purpose of worshiping God daily, but the concept is still really quite simple. Our physical limitations and our imperfections are what make it seem so complicated. Joshua didn’t easily accomplish his worship of the Father either. Each one of these eight reasons for seeking out and worshiping God can be found in Joshua’s story, but none were devoid of struggle. Read over the book of Joshua, if you haven’t yet. Look back over Article 1 and re-examine the five megathemes to see how often the eight reasons listed above appear; take note of the struggles each opportunity for worship brought about in each of the five megathemes. If I could somehow sum up this whole article in one sentence, it would be this: the dawn of forever is when you place your faith in Christ, but abundant life begins when you fulfill your purpose and become a true worshiper of God. Three walls have now been erected; onward we go to constructing the fourth and final wall in our temple of worship. Somebody’s Gonna Praise His Name lyrics and music written by Bob Hartman (Based on Luke 19:40; Psalms 69:34, 148:9). Copyright © 1988 Star Song Music.